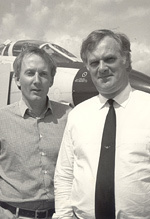 Tim Prince OBE FRAeS, a co-founder of the Air Tattoo and Chief Executive of the Royal Air Force Charitable Trust Enterprises (RAFCTE) hands over the reins later this year to Andy Armstrong. During his career the Air Tattoo has grown into the Royal International Air Tattoo which has been held at a number of military airfields throughout the UK. In recent years under Tim's tenure the RAFCTE have overcome disaster to grow and assist in the planning of other airshows in the UK together with other non-airshow events. Stepping down from his lofty position at what is arguably one of the most successful airshow operating organisations in the world, Tim will be a hard act to follow. With a little help from Tim, Andy Evans discusses his time at Douglas Bader House as he enters the final months as Chief Executive of the RAFCTE. 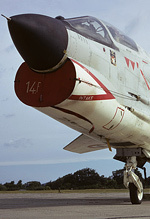 Images come from the UKAR staff team, and the photographic archives of RIAT, the late Mick Freer and his son Stuart Freer. Over the years, the Royal International Air Tattoo has had some epic highs and deep lows, ranging from superbly rare aircraft such the Tu-95 Bear and Tu-22M Backfire to the entire show cruelly having to be cancelled due to weather. Through it all, there has been one constant; Tim Prince has been deeply involved in each show since the very first event held at North Weald aerodrome in 1971. That said, his career didn't begin with the Air Tattoos and he certainly didn't believe they would still be going strong in 2014. 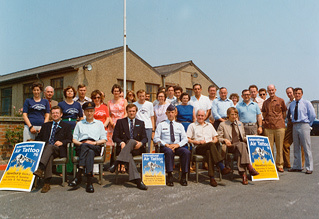 IAT first started back in 1971. Did you believe it would still be going in 2014? "When I was that young I didn't even think about 1972, let alone being 65 in 2014!" 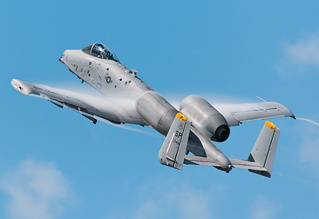 Taking a nostalgic look at past RIAT and IAT shows highlights just how hard the team have worked to bring us some of the most memorable moments and aircraft that we could ever wish to see. No other airshow pitches itself to enthusiasts as quite like RIAT does, and it's clear that (most of the time) the team at Douglas Bader House have listened to what we have to say, time after time delivering the goods and bringing smiles to countless people. There have been too many signature moments and special visitors for us to list, but which of the moments that shaped this show's history does Tim most fondly remember? There have been many stand-out aviation participants during your tenure. Which have been your most memorable? "There have been many memorable aviation participants, as you can imagine, and for a wide variety of different reasons. I did feel desperately for the Brazilian Air Force display team, the Esquadrilha da Fumaca, back in 2008. They flew their eight Tucanos on an epic 30-hour journey to get to Fairford only to discover shortly after their arrival that the airshow had been cancelled. Their participation was the culmination of years of work on our part to encourage them to come and it was ultimately heart-breaking for all concerned. 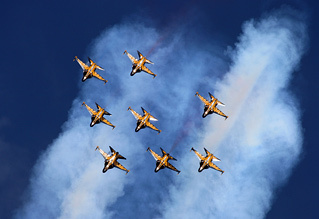 "There was a far happier outcome when, again after years of networking and warming on our part, the Korean Black Eagles team displayed to a hugely appreciative crowd at RAF Fairford in 2012. Seeing the team's T-50 display aircraft being unloaded from the back of a giant Korean transport aircraft at Manchester Airport really brought home the logistical challenge the Koreans faced, not to mention the cost. "From an historical perspective it was also quite special to welcome the Japanese Air Self Defense Force KC-767J in the same year - and their cargo of drummers was the icing on the cake. "Looking further back, the US Army CH-54 Skycrane at North Weald was a pretty memorable participant. The helicopter looked like one of my Meccano models and the crew were such characters and used the aircraft like an off-road vehicle. I had a flight in it when we had an unofficial competition with an RAF Lightning to see who could first get from take-off to 1,000ft the quickest. We won! Those were the days. "Finally, I couldn't answer a question like this without mentioning the Czechoslovakian and the Russian participation at Boscombe Down. Having worked there as an air traffic controller, I was well aware of the high level of security that protected the Aeroplane and Armament Experimental Establishment but we pressed ahead and were rewarded not only with excellent Eastern Bloc participation in the early 1990s but also with Anatoly Kvotchur's unplanned and unapproved impromptu arrival sequence. It was quite memorable and a dilemma for me, given I really should not have enjoyed it quite as much as I did! "And of course, there was the incredible sight of the Russian Tupolev Tu-95 'Bear' touching down at Fairford in 1993. Nearly as unforgettable as Paul Bowen's smile that day!" Has there been a "signature moment" from all the shows that you still can't quite believe your team were able to arrange? "Yes, our recovery following the unfortunate Russian Mig-29 pair's mid-air collision in 1993. 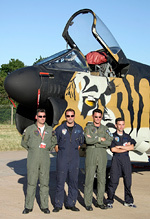 It showed the professionalism and dedication of everyone involved on the Air Tattoo team. That the airshow carried on whilst we looked after all those who were badly affected by the incident and then opened the gates as normal on the following day was pretty impressive by any measure." What has been your all-time favourite participant? 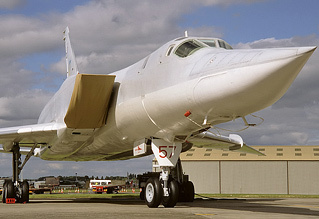 "The Ukrainian Tu-22M-3 Backfire at Fairford and Cottesmore." Which flying display specifically stands out? "The English Electric Lightning when Geoff Brindle, now our Flying Display Director, displayed it at Greenham Common in the mid-'70s - it was truly 'Electric' and very English!" The Air Tattoo has a rich history, with abundant memories of once-in-a-lifetime opportunities to see rare machines from around the globe giving RIAT a pedigree that no other airshow on the planet can match, but with the positives there have naturally been more challenging times - an obvious example being the mid-air collision between a pair of MiG-29s in 1993, and the show's cancellation in 2008 sticks firmly in our minds too, but the past two years have been a microcosm of the ups and downs in the show's fortunes. RIAT 2012 was widely hailed as one of the greatest Air Tattoos of this century to date. 2013 meanwhile was the realisation of long-held concerns about the ever-diminishing static display and the obvious moves towards non-aviation orientated entertainment, with a show that was hit hard by US sequestration not painted in a very positive light by many of the online reviews. Through thick and thin, Tim has remained strong and continued to engage with the enthusiast community wherever possible - even inviting seasoned FRIAT members to give their thoughts on what the show is getting right and wrong, with Tim and his team standing up to be counted where necessary. A decision that has been welcomed as being an important tool by many. If you are at liberty to say, what has been the greatest disappointment in either a set-piece or participant that nearly happened but didn't quite materialise? "I recall that a lot of work went into persuading our friends in the Romanian Air Force to bring a Harbin H-5R to RIAT 2001. 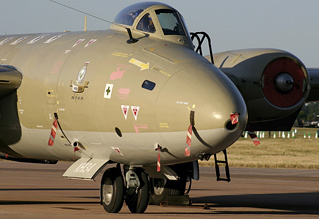 Sadly it crashed, thankfully without injury to the crew, very shortly before it was due to come to Fairford." 2008 was arguably the toughest year the show has ever seen. Can you describe your involvement in the decisions that weekend and your emotions at that time? "It was a horrible time. Throughout all our deliberations and soul-searching we were endeavouring to keep the airshow alive whilst commemorating the RAF's 90th anniversary and hosting the presentation of new Colours to the RAF and the RAF Regiment by our Monarch. "Despite weeks of dreadful weather we were determined that the show would go on. "Over and above all of my normal duties I had to ensure decisions about contingency spending were made in a timely manner and, whilst the team worked flat out to solve the ever-mounting logistical challenges, I had to keep my fellow board members and our insurers apprised of the unfolding situation. "Everyone involved did all they could, working every hour possible, but in the end we had to admit defeat. It was a very emotional time. Not only had people worked their socks off but they were exhausted. There was a palpable sense of loss, but everyone stayed at their post as there was still lots to do; participants to host (the crews were brilliant) an airfield to run, sponsors and their guests to be looked after, etc. It was a memorable year but given the tremendous support we received and caring insurers, we lived to see another day!" What went through your mind when you realised that sequestration was going to mean no US participation at the 2013 show? "I couldn't tell you the exact word that went through my mind - but it did and on more than one occasion. "It was important to me that despite sequestration, we would show our great DoD/USAF/USN/USMC friends and supporters off in the best possible light. 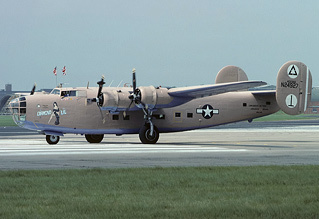 We did this by hiring in the Catalina, B-17, B-25 and Corsair and focused on US military history. This, coupled with some well chosen words from our excellent commentary team, helped ensure the US military was with us in spirit if not in person." If you had the chance, is there any one thing you would go back and do differently? "With hindsight, a course in management would have been useful. As it was, I left school at 17, and spent the following three years training as an air traffic controller. This - and securing my PPL - were great in respect of furthering my interest in aviation, but didn't quite prepare me for the role of Chief Executive of a multi-million pound airshow and trading company owned by a significant RAF charity! I owe a big 'thank you' to my fellow directors and in particular the unpaid experienced non-executive directors who have guided me - and the event - over the years." It's been said by many in recent years that RIAT has lost its way and some people have lost faith as a result. Is there anything you would like to say to them to reassure them that the RIAT of old is still here? "I know that excuses are perhaps not what you are looking for here, but I do believe it is worth reminding ourselves about a few factors: the dreadful and unpredictable weather; the world's economy collapsing; unemployment; banks that look after our money imploding; and the slashing of defence spending in the UK and worldwide in recent years, not forgetting our cancellation in 2008, which in itself was a game-changer. 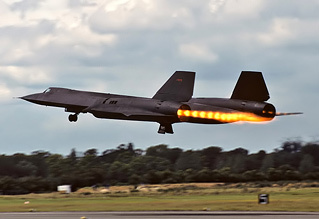 "The reality is that the RIAT of old, with 400+ aircraft, can no longer be - much like the Tim Prince of old - but the core Air Tattoo values remain within the team and there's still plenty to get excited about. We need to focus on making the best of what the military world can offer rather than lamenting what we can no longer have. Nostalgia ad Astra!" It is perhaps an inconvenient truth that when looked at purely as an airshow, the RIAT of old is no longer with us; something that it seems many can't accept. 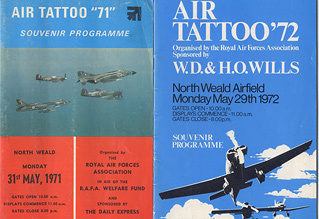 Regardless of what aircraft may or may not be in attendance, one aspect of RIAT that has remained unchanged throughout the years is the sociability it has brought to our hobby. Anyone that has ever held a FRIAT membership or had any involvement with the team at Douglas Bader House quickly begins to understand that the social bonds that develop and exist at this show. This is something that appears not to be lost on Tim. The show is nothing without the people that make it happen. Are there any personalities whose input you think RIAT would not have been the same without? "There have been so many wonderful people involved over the years since Sqn Ldr Jack Currie DFC, a former RAF Pathfinder pilot, brought the original team together in 1970 under the RAFA banner, giving Paul Bowen and me such a career-changing opportunity. It would be unfair to single out any one individual in particular but Paul, as most of you know, was a great showman and contributed so much to establish the show internationally in those early days, although at times this resulted in a bit of a financial roller-coaster as far as our charities were concerned." Has the feeling you get at the start of the show weekend changed over all these years or has the passion remained the same? "My passion has strengthened each and every year; wouldn't yours if it were your train set to build and show off with your friends?" What has been your proudest moment representing IAT and RIAT? "Being made an OBE by Her Majesty The Queen as that day I knew that I was representing the whole RIAT Team - past and present." 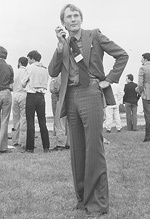 What do you think Paul Bowen would say about RIAT's 42 year history? "He'd say: Don't you mean 43-year history?" 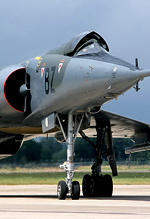 "He'd also say to everyone who's been involved over the years: "Well done everyone and bring back the F-104! ", as would I." If you could say one thing to yourself and Paul Bowen all those years ago, what would it be? During March the news broke that a successor had been chosen to take over the role of Chief Executive following the end of RIAT 2014, with Andy Armstrong, a former Managing Director for Sony Pictures Home Entertainment, named as the man to lead the show into a new era. The initial response to the new incumbent from many in the enthusiast community was muted, with some showing concern at his apparent lack of military or airshow experience, but it is only fair that Andy is given every chance to prove himself in his new role, especially with such big boots to fill. Crucially, Tim appears to be pleased with the selection of his successor and whilst admits there are challenges ahead, he is positive when looking towards the future. How was your successor selected? 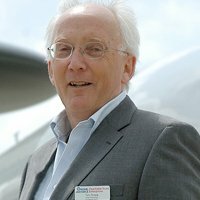 "RAFCTE Chairman Alan Smith headed a selection panel of four, all being active members of the RIAT team which included the Chairman of our parent Trust Air Marshal Sir Kevin Leeson and myself." Has a date been set yet when you will be formally handing over the baton? "Andy joins us in early May to get an understanding of all aspects of what we do. 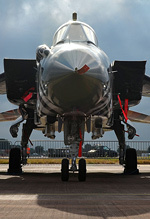 All things being equal, I will hand him the keys to DBH on the Monday evening after RIAT 2014." Does your successor share your passion for aviation? "Andy truly understands what the Air Tattoo is all about and the unique ethos of its people. He was a pilot and wanted to join the RAF. Whilst not quite as up to speed as me with military aviation he will have plenty of people around him who are. Indeed, for the past 43 years I have relied on them myself as I grapple with the overall role here. Andy is the right man for the job." What would you like to see happen to RIAT after you have handed over the baton? "I want it to flourish and continue to show the world how good UK plc is at putting on such spectacular events whilst at the same time encouraging youngsters to take a career in aviation and perhaps join the RAF." What do you see being the biggest challenge facing RIAT over the next few years? "Securing the right number and types of aircraft that will appeal to enthusiasts, whilst at the same time making the airshow attractive to the wider public. We need the event to be inclusive not exclusive and the challenge is getting the balance right year after year." Do you intend to continue volunteering for the show or will you be joining the FRIAT masses? "When my successor Andy Armstrong has established himself in the role, I would love to become a volunteer once again (in the early 70s there were no paid staff). The question would be: Follow-Me driver or toilet boss, as I'd like to do something different!" What does the future hold for Tim Prince? "Primarily a breather; I married in 1971 and my wife Penny has seen little of me since then. In fact, in order to see more of my two sons, they both became volunteers when 14 years of age (on the IT and Site teams). Penny was also a volunteer, albeit only for the first few years." Looking ahead, RIAT 2014 has - on paper at least - the potential to be a classic, more in-line with 2012's brilliance than 2013's struggles. Not only do we see the return of some firm favourites, some for the last time such as the Greek A-7 Corsair IIs, but also a major international debut from the F-35B Joint Strike Fighter. We also await with baited breath details of the special Red Arrows celebrations that are planned. There is certainly a far more positive vibe within our forums during the build up to the 2014 show compared to last year, which is great news - a strong and successful RIAT will be the perfect way for Tim to sign off. Will you be making yourself available to FRIAT members who want to personally thank you during the show weekend? "I consider FRIAT to be an important part of our family and always look forward to calling in. It also gives me the opportunity to experience at first hand Pete Hardy's latest aviation creation!" Finally, is there anything you would like to say to the UKAR and wider aviation enthusiast community? "Thank you for keeping me awake at night compulsively reading all you have to say about your hobby and in particular about RIAT. Sometimes you have frustrated me but amongst some of the testing banter there have been good, helpful suggestions and reassuring comments. You have certainly kept us on our toes, but please be reassured that the team really does continually work its socks off to put on a great show each year, even though sometimes we do not always get there with all the aircraft on your 'shopping lists'." 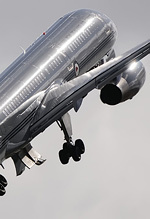 UK Airshow Review's community of enthusiasts may, at times, be seen to be overly-critical and perfectionist when it comes to the Air Tattoo, but no-one can say that we don't recognise how lucky we are in the UK to have such a superb annual airshow on our doorsteps. In that light, we will also never forget that since 1971 there has been one man always at the forefront of making sure RIAT is up there with the best of them. On behalf of the UK Airshow Review Staff Team and our community of enthusiasts, we welcome Andy Armstrong and look forward to discussing his plans for the future with him in a future article. However for now, there remains only one more thing to say, and that is to wish Tim Prince an enormously happy retirement. Andy would like to thank Tim Prince for being a good sport and agreeing to being interviewed, and to Stuart Freer for his assistance.